If you love pets, you must admit that any trip you make without your dog is no fun. 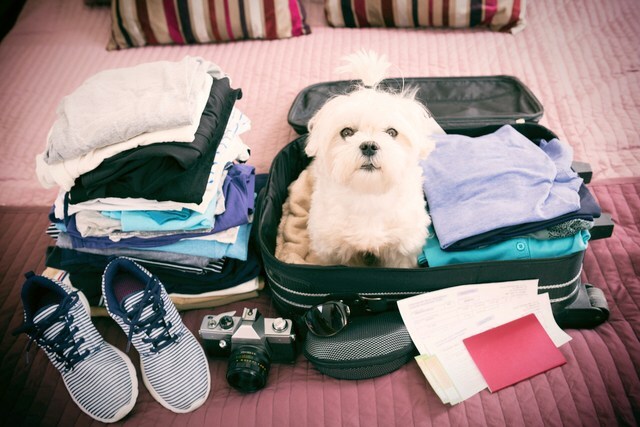 However, traveling with your dog can be hectic-whether by plane, road or train. You need to make some arrangements to ensure your furry friend is safe and comfortable. Remember, your dog will feel comfortable at home than when you can him along and you cannot guarantee him the comfort he deserves.If you have decided to travel with your dog, dogproductpicker has some tips to help you to make you and your dog safe and comfortable during your trip. You need to buy a special crate where your dog will be comfortable to sit, stand or turn around. The crate should have bedding and shredded paper to prevent your dog against hitting. In this case, you will need to buy a USDA-approved shipping crate. You may also want to carry some dried food somewhere the airline personnel can feed your dog during long flights. This article was sponsored by Pet Jets! Consider chartering a pet friendly aircraft for your next vacation, relocation, or even business trip!